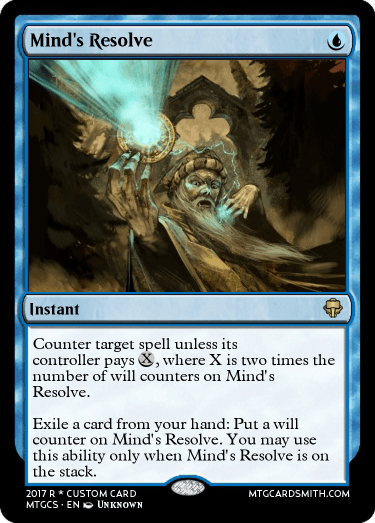 In the vein of exploring unique design space, your task is to create a spell that creatively utilizes counters on the spell itself. 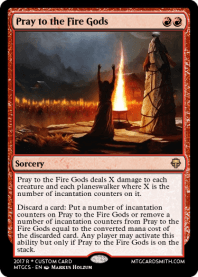 I don't want to offer too many restrictions here but your submission(s) should probably not be a permanent and should rely on/interact with counters of some type. I'm flexible so long as you adhere to the primary thesis of the contest. 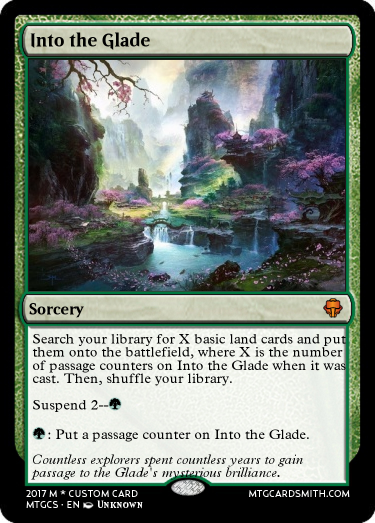 Suspend is a spell mechanic that utilizes counters but I'd encourage exploring other directions (or utilizing it in conjunction with other effects). New cards preferred. Maximum 2 entries per 'smith. Editing/resubmission is allowed until the submission deadline. This will be a quick contest. Entries will be accepted until 11:59pm CST on February 11th and results will be posted by end-of-day on February 12th. Feel free to message me with questions. Best of luck to you, 'smiths! My scoring rubric will include Creativity, Balance/Playability and Formatting. 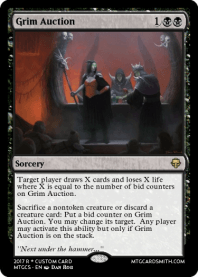 Artwork should aid in a card's cohesion but will not be a deciding score factor. I will provide feedback on non-winning submissions after the contest has concluded by request. Thanks to @DomriKade, this is now a Circuit Challenge!! What the...? I've never seen that card before! 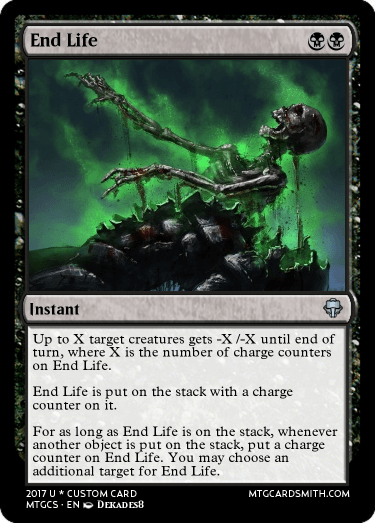 I didn't realise counters on a spell while on the stack was a thing. Are there any other examples? It's been around since Coldsnap but it feels like a whole new design space! @Animist I know, right!?! I've not seen anything else quite like this one. All Hallow's Eve is the only thing that's somewhat close but it feels more like a predecessor to suspend than anything else. 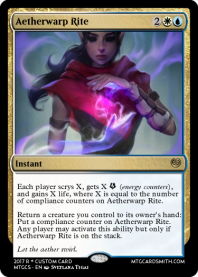 Yeah, I've returned to Magic quite recently after a looong break and me always liking +1/+1 counters took a long vacation day typing in "counter" on magiccards.info and reading all those cards appearing. This is sweet! I'm in AZ until the end of the week so smithing might be difficult. However, I'll give the contest some thought and if something presents itself I'll try to get in on this! Aaand I directly had to make a fitting counterspell for that. For clarity, I'd like your cards to have counters on them. Weird, I know! I've update the 'thesis' to specify this. This is now a Circuit Challenge!! 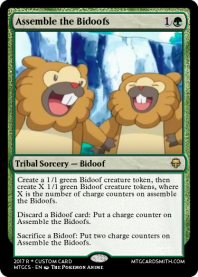 This is another Bidoof tribal spell. 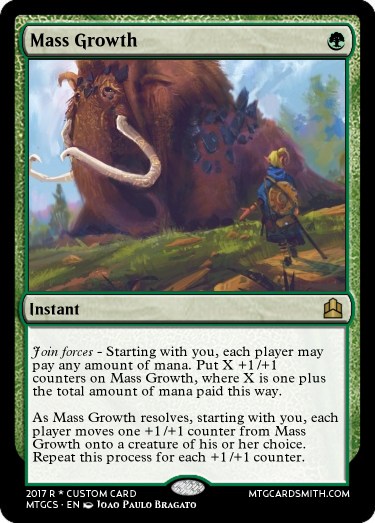 It is designed to help Bidoof decks go wide. I hope you like it! @KrampisZman Noooo! Save us from the bidoofs! @Gelectrode That is really cool! 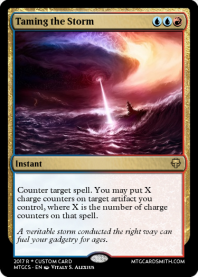 So pull of the sea is slightly overpowered but Infinte power even by my standards is beyond insane.Have fun with it. I feel like you already know of my card, but that's not going to stop me from entering it! 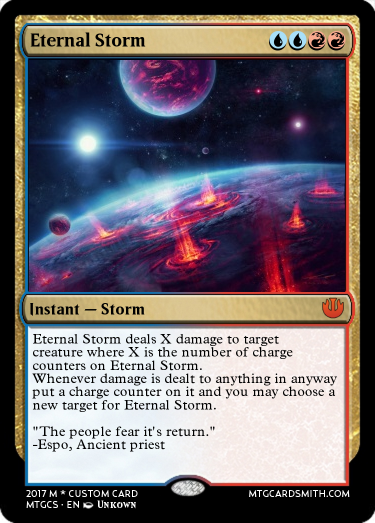 Oh also I made a sick counterspell that has the same sort of Lightning Storm counter shenanigans and I think it's both balanced and pretty sweet.